Franklin Ice Cream Bar, the new frozen treat spot from old-timey confectionery dandies Ryan and Eric Berley, quietly opened back in April. Inspired by a time a few decades after the Victorian-inspired vibe of their first two shops, Shane Confectionery and Franklin Fountain, the brothers gave Franklin Ice Cream Bar a World War II-era feel. 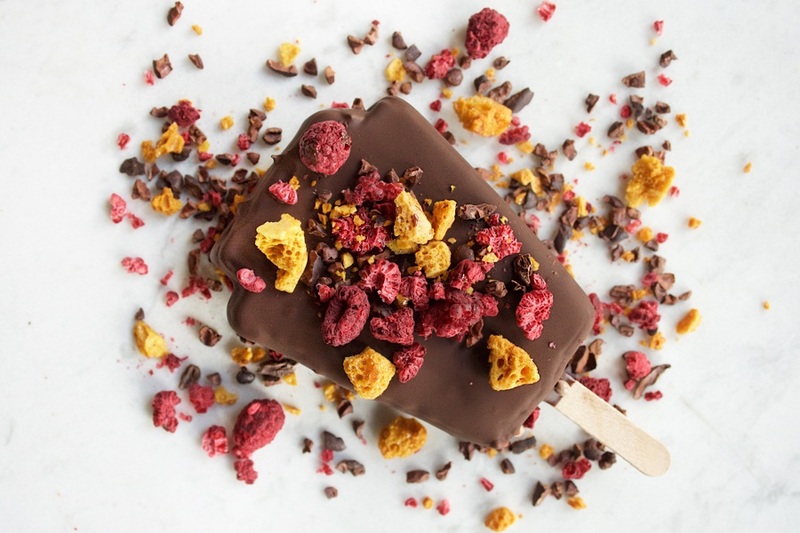 The shop serves scoops, custard, ice cream sandwiches, and its signature sweet, keystone-shaped ice cream bars hand-dipped in Shane’s bean-to-bar chocolate. You can customize that chocolate with toppings like gummi bears, freeze-dried fruit, or flaky sea salt. And now that the summer season is officially underway, the Berleys are celebrating with an afternoon of grand opening festivities. This Friday, June 1st, head to 112 Market Street for a ribbon cutting, free custard samples, a raffle for gift certificates (for more ice cream, natch) and speeches marking the opening of the World . They’ll also be showing off a cool old Model T, and Drew Nugent & the Midnight Society will provide 1940s-era tunes. The party starts at 11 a.m. and goes till 1 p.m. — perfect for sneaking a little frozen custard on your lunch break.